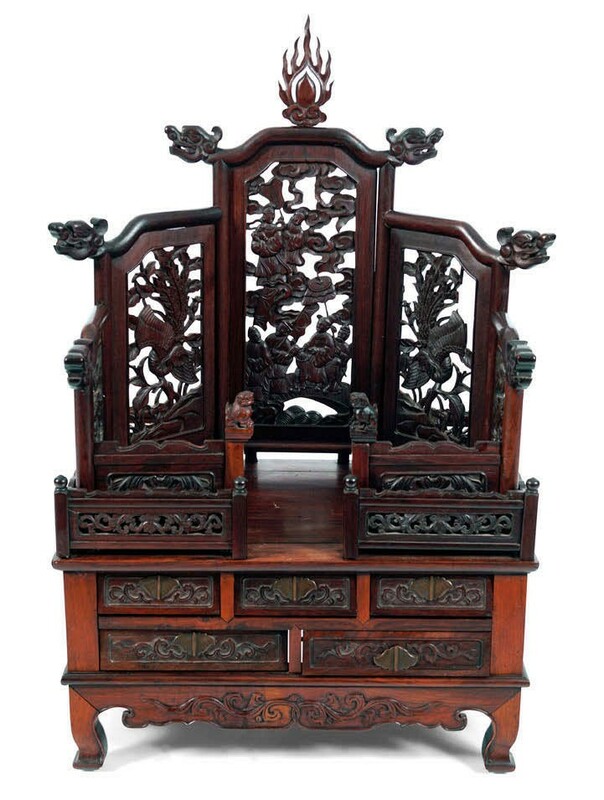 Qing hardwood ceremonial altar stand – €27,000 (£23,120) at Sheppard's. This 2ft 7in (78cm) tall Qing hardwood ceremonial altar stand was estimated at €5500-7500 at Sheppard’s (20% buyer’s premium) at the Durrow sale on February 26. It went back to China at €27,000 (£23,120).